ShyBaryWatch: Grand Lofts Keeps Coming Down, But Far Enough? Watching the short sales and price drops in Barry Shy's buildings is becoming a bit of a bloodsport. No fewer than 17 of the building's 280 condos are on the market, many in short sales. Three of the building's one-bed one-bath lofts have been chopped way down, but will a unit cross below the $100,000 mark? Meanwhile, HOAs are $256 and include 24-hour concierge service and a rooftop pool and outdoor lounge area. As one listing promises, the atmosphere will make you "feel like you are in New York." One day, perhaps. 1. Unit 214 is 890 square feet and last sold in 2006 for $497,000. It was originally listed in February at $220,000, but after three price chops, it's down to $189,000. That's $212 per square foot. 2. Unit 506 is bank-owned and last sold in 2008 for $228,122. It's come down from $195,900 in February to $163,900, or $205 per square foot. 3. 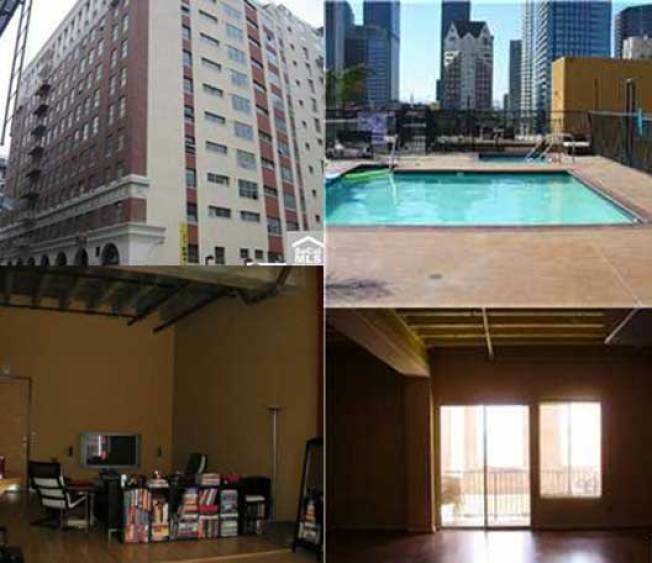 Unit 1103 has been on the market since last August. It started at $299,000 and has made its way down to $239,000. At 830 square feet, that's $288 per square foot.